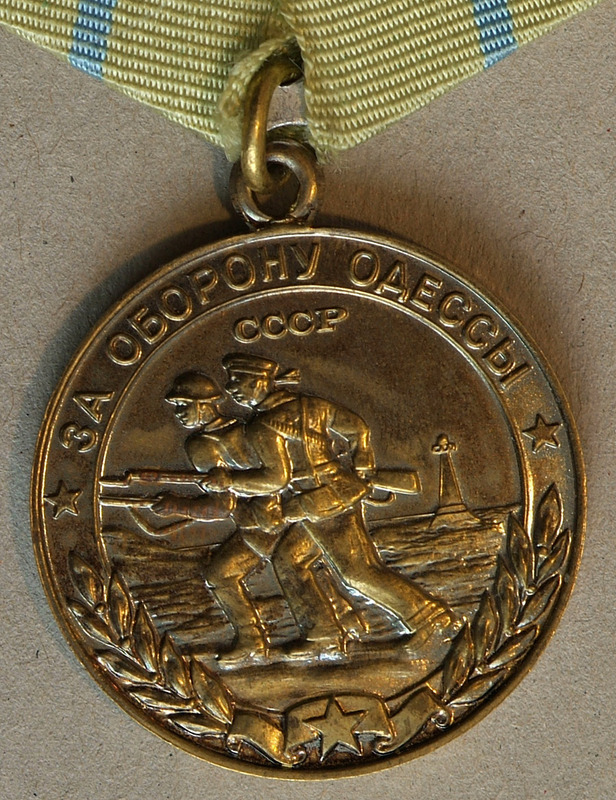 this medal for Defence of Odessa has poor relief details, especially on the soldiers figures. 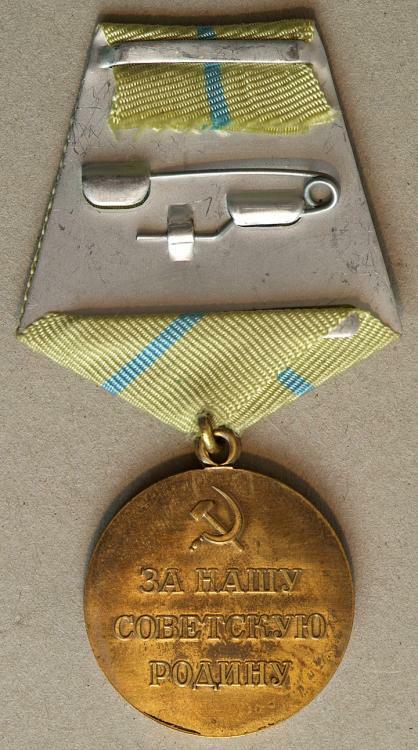 Is this a worn original or a copy? It is a bad reproduction, for a number of reasons. Everything on the avers is too approximate. The suspension ring is totally unrealistic. 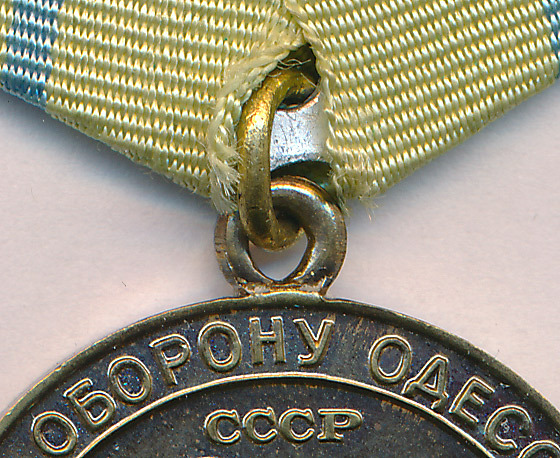 In addition, I would be always prudent with medals showing such a strong wear traces in the middle of the reverse (look at the N (H) in нашу). 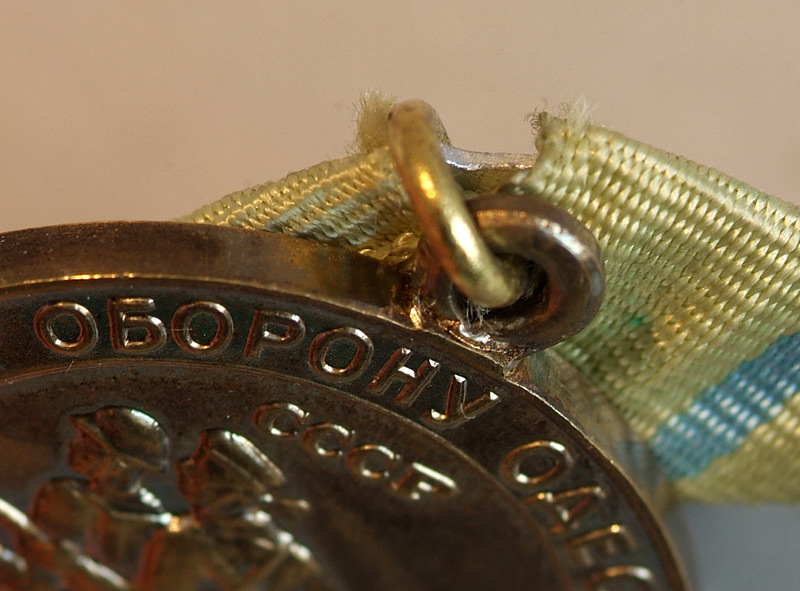 Finally, the reverse of the medal shows details of the voenkomat versions, in contrast with the soldered ring. As I have suspected. Thank you. Thanks for confirmation. And this one? I suppose this is good 2nd type? It looks to me a voenkomat version, could be original but I am not an expert of late productions. 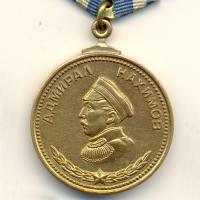 Could you post an image of the full reverse? From the pictures I do not see anything obviously wrong with this medal, but keep in mind I am not an expert and Odessa counts a variety of fakes of very good quality. 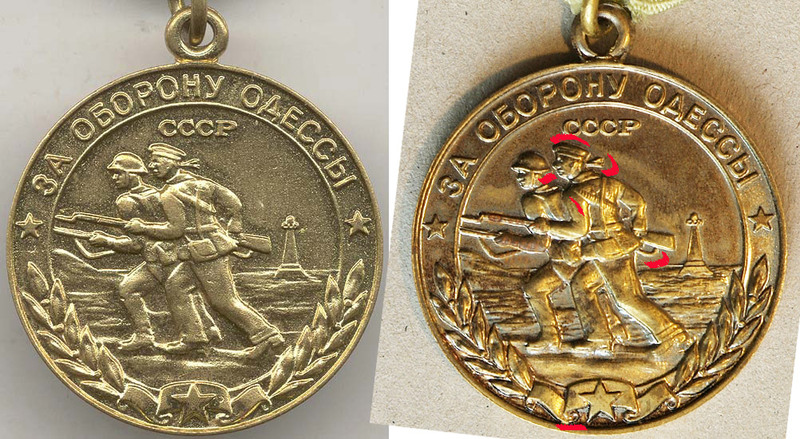 Compared with the one published in mondvor website, there are anyhow some differences which might be due to illumination effects, like the general impression that there are too many details especially on the avers, compared to the general "soft" aspect of the odessa medal. Also in this case, the high contrast might be due to the light impingement angle. Let's see if other collectors will leave more conclusive comments. Thank you. Yes, I know the Mondvor website. Will compare the marked details tomorrow at the daylight again. I have a similar one that someone has removed the original ring and soldered a new ring on to try to turn it into an early one. The thing that I was looking at to see if it was genuine was the top arm of the 'K'. The 'K' on mine, and it looks like yours, the arm appears to be straight while I am lead to believe that the top arm of the 'K' should have a curve in it. it is hard to see on the Mondvor site unless you can magnify the picture. Can anyone confirm that my observation is correct. Mondvor website - is not full description of everything at all. Its enought for main knowledge only. 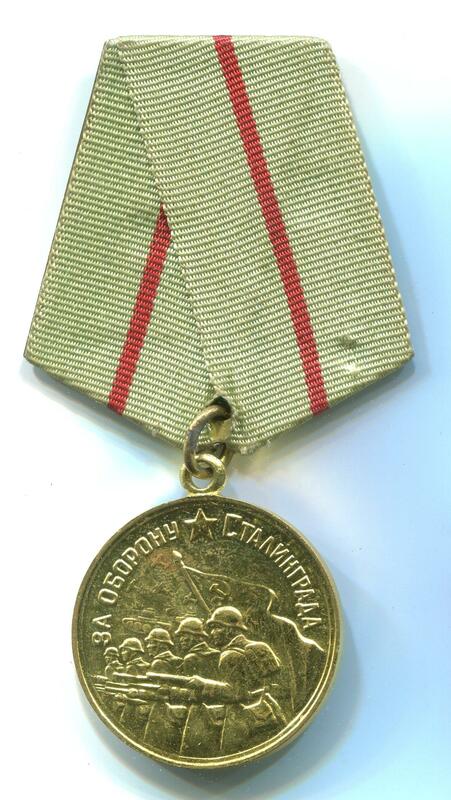 Your second Odessa medal is Voenkomat type. Nothing special. 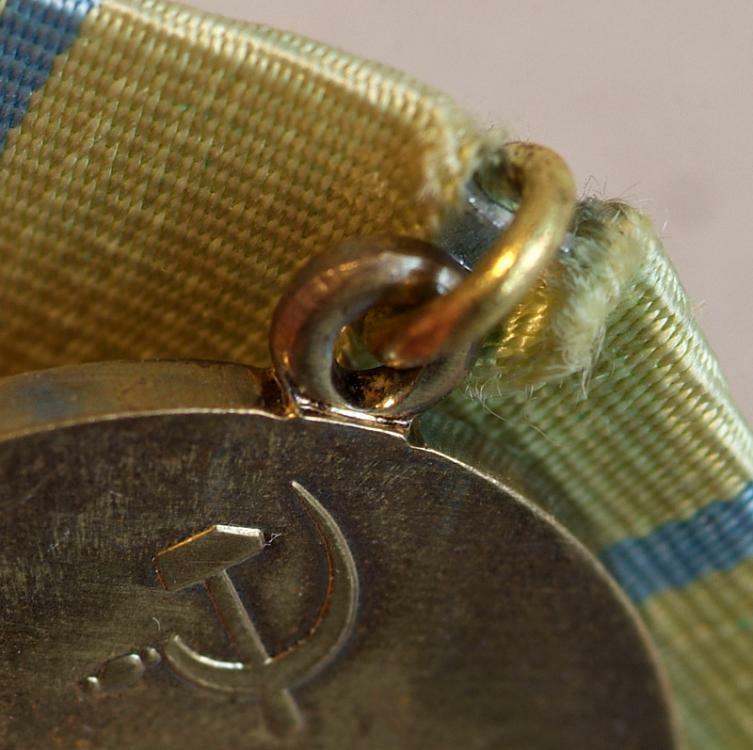 What is meant by "Voenkomat " type? what is the date ranges for it? What are these versions worth and what makes them seemingly less valuable? 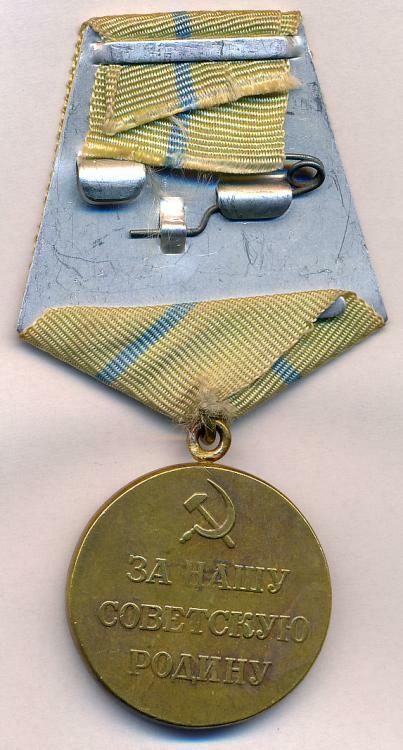 Voenkomat is an abbreviation (Военкомат) from the Russian "Военный комиссариат" or Military Commissariat, similar, in some respects I imagine, to U. S. Draft Boards. 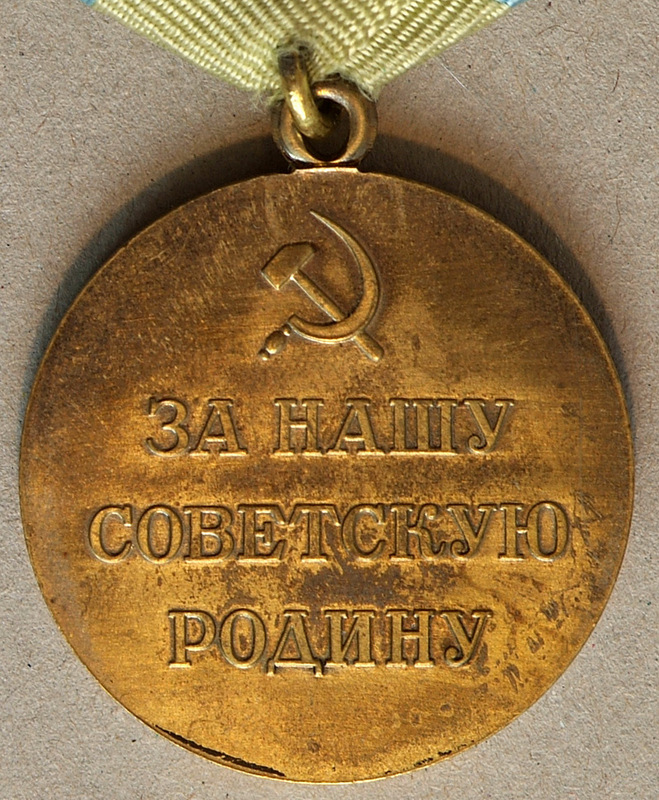 It refers to medals issued by the various city and regional military commissariats located throughout the former Soviet Union in the period after the war. 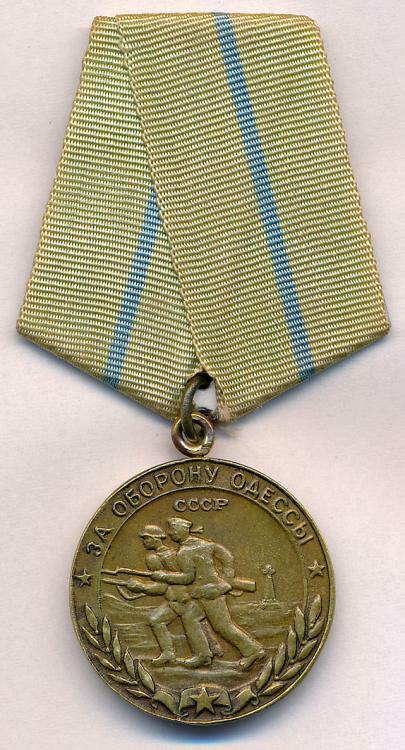 They were usually issued/awarded many years later so the medals appear newer, unworn, mint. Here, for example, is a Voenkomat Defense of Stalingrad Medal. 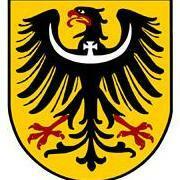 I have Voenkomat issued documents some as late as 1990. Their relative value is less because they are newer and not period issued. 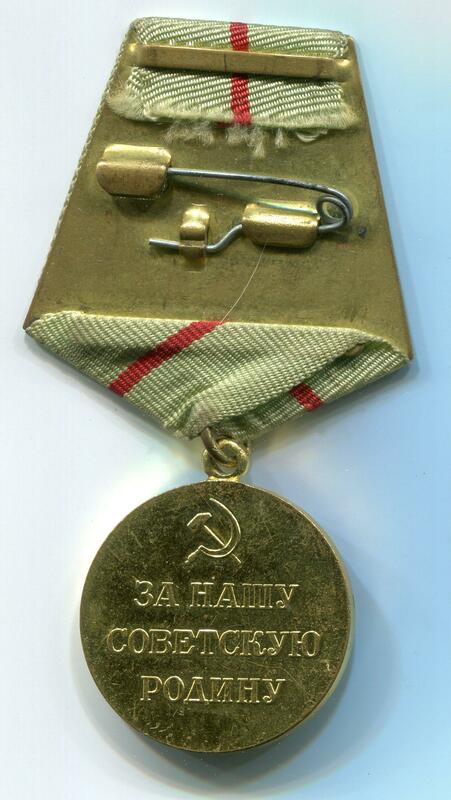 I have heard them referred to as "catch-up" awards, much like the Red Stars, Bravery Medals, Orders of Glory, and so on issued in the 1970's &1980's for war wounds. So completely original, but awarded much later. 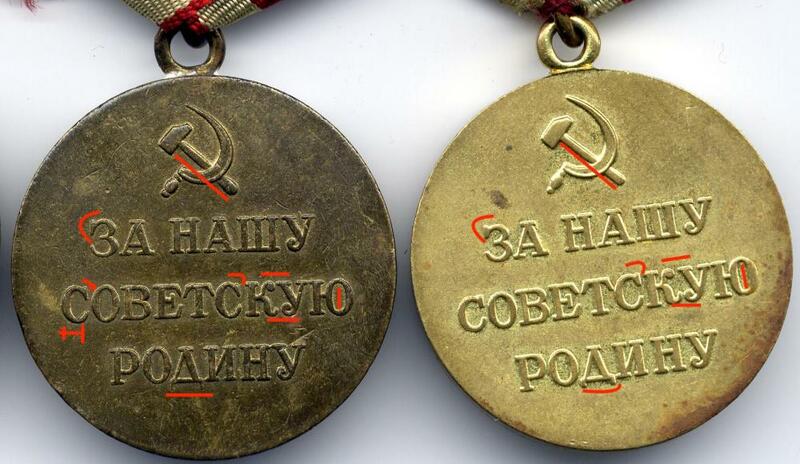 How long were these official medals actually manufactored? 1980s? 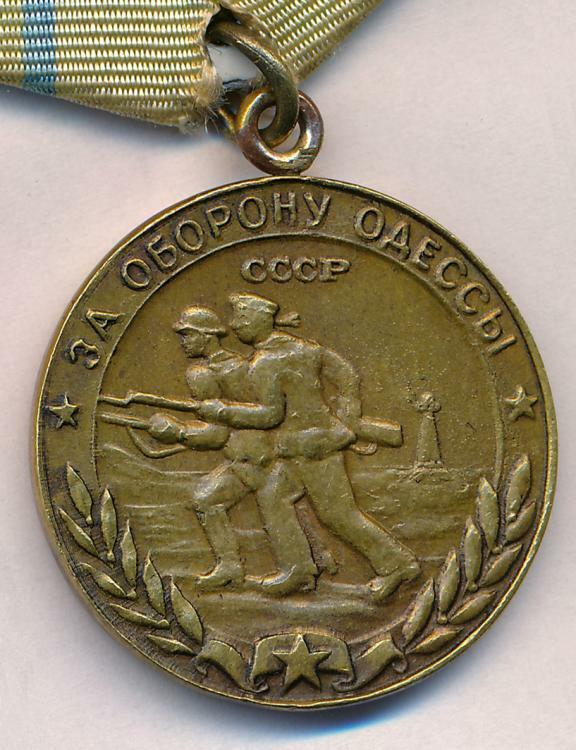 Awarding of Commemorative Medals for the WW2 campaigns was carried out until the fall of Soviet Union, and very likely also after the USSR had disappeared. I have seen an awarding booklet for Defense of the Polar Region dated 1995. 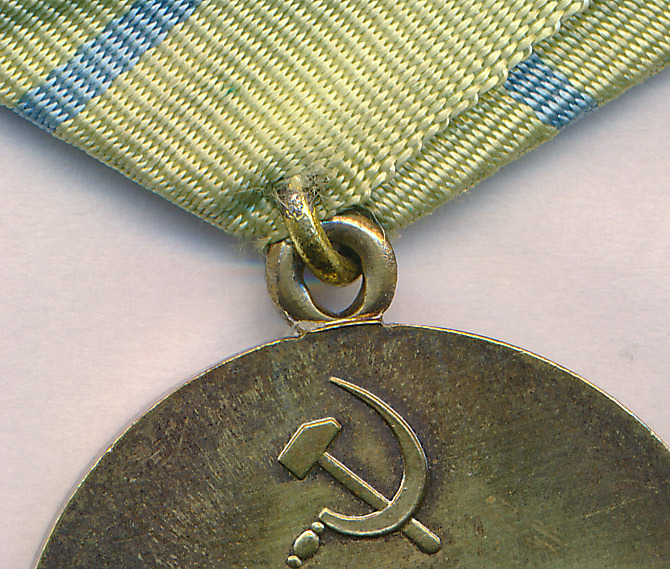 The term "Voenkomat" is often associated to a specific variation of the medals, corresponding to the Type 3 on most of the WW2 commemorative medals, which started being manufactured in the early 60-ies. In 1960, most of the WW2 veterans had already left the army, therefore late awards had to be collected at the Military Commissariats. 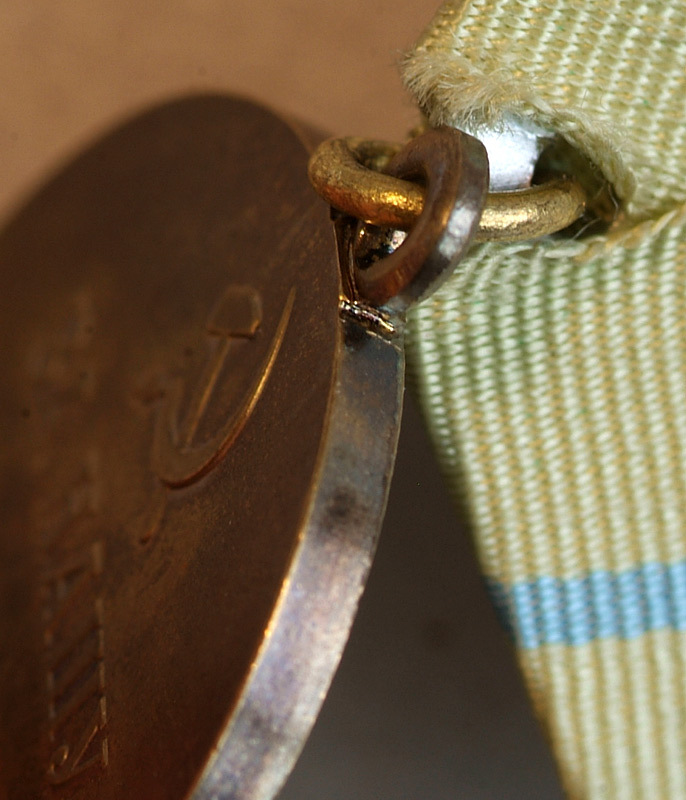 The suspension ring struck with the coin is the most important feature. Its implementation required completely new dies, both for the avers and the reverse of the medal. The font of the letters in "For our Socialist Motherland" changed in many details (see the picture with a side-by-side comparison between a Type 1 and a Type 3). 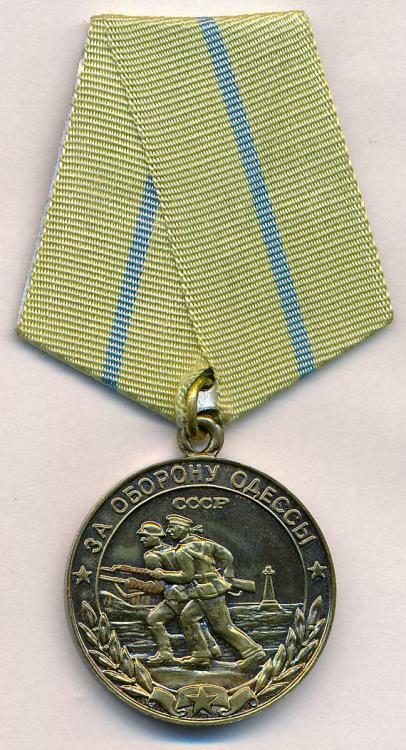 The Defense of Kiev is a clear example of Voenkomat medal, since the award was instituted in 1961, and the medal only exists in the type 3.